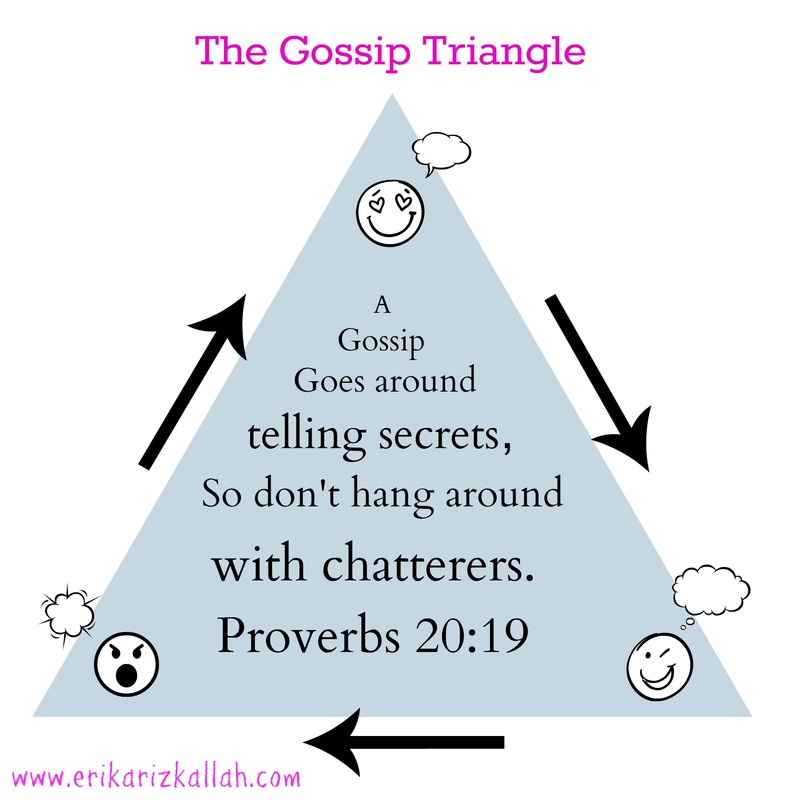 Love and lies: Have you gotten sucked into a gossip triangle? Three weeks ago, my 17-year old daughter was the object of a severe bullying attack by several of her best friends. She considers these kids her family and so do we. We love them like family, minister to them when the need arises and eat hundreds of pizzas. They are all Christians doing ministry together. 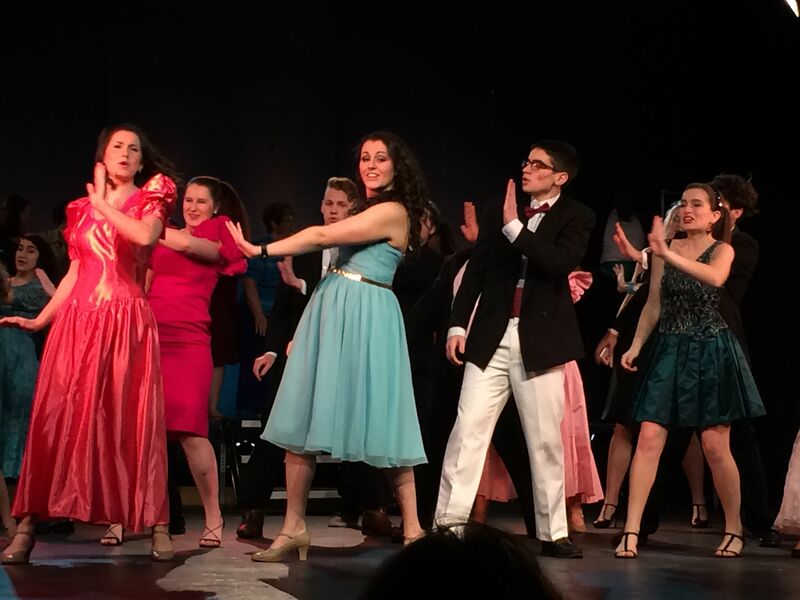 My beautiful girl (in blue) doing what she loves the most! None of these kids are involved in the situation. Have you ever been hurt by people you’ve shared everything with? If so, you know the pain and suffering she’s enduring – WE are enduring. When one member of God’s family hurts, we all do. Gossip is an age-old problem and our situation began with an “innocent lie” (no such thing) between a guy and girl. My daughter took part in the lie in a misguided attempt to spare someone’s feelings. Then someone lied to another person, and the offended party learned about it through gossip. It was the spark that lit a wildfire of lies, accusations and slander. Despite her confession and begging forgiveness, her name and reputation is ruined (for now). She got caught up in the middle of a gossip triangle that sucked her in and spiraled out of control. Life is full of hard lessons and while attempts at forgiveness and restoration are finally being made, the damage is permanent. In my next post, I’ll write about the lessons we’ve learned from this fiasco. I hope it helps you keep your kids from being sucked into a gossip triangle. It is because Christians hold the out-of-context “do not judge” attitude that gossip, not being gay, is the PRIME SIN in every church. The damage done to marriages, families, churches and entire communities at the hand of gossiping PASTORS, let alone church members, is tremendous. We have a Biblical DUTY TO JUDGE. 1 Corinthians 5:9-13 9 In my letter I said to you that you were not to keep company with those who go after the desires of the flesh; 10 But I had not in mind the sinners who are outside the church, or those who have a desire for and take the property of others, or those who give worship to images; for it is not possible to keep away from such people without going out of the world completely: 11 But the sense of my letter was that if a brother had the name of being one who went after the desires of the flesh, or had the desire for other people’s property, or was in the way of using violent language, or being the worse for drink, or took by force what was not his, you might not keep company with such a one, or take food with him. 12 For it is no business of mine to be judging those who are outside; but it is yours to be judging those who are among you; 13 As for those who are outside, God is their judge. So put away the evil man from among you. If Christianity were to do some housekeeping, there would have been much less hurting people in every church. Instead, we judge non-Christians which is a SIN! Christianity should leave its humanism and apply the Word of God in everyday situations. Part of the problem is the New Testament Christian who lacks the intimate knowledge of the Father’s righteousness, justice and wrath. He is ONLY revealed in the Old Testament. Christianity generally is misaligned with His Word. Thanks for stopping by Augury, I appreciate your comments! I’m a little confused though about your first paragraph. Are you saying gossip is the PRIME SIN or homosexuality is? I agree with you in that we have a duty to judge those within the church if it’s to gently restore them to Christ. Otherwise, we’re simply looking at the speck in their eye without removing the log in our own. However, I don’t agree that our Father’s righteousness, justice and wrath can only be found in the Old Testament. Jesus spoke openly and frequently about it in the New Testament. It is the buzz of the moment to bash gays – I am not for LGBT either – but sin is sin. The Bible does not rate one sin above the other. There are way more gossipers than gays and men are the worst. Contrary to popular belief. Homosexuals damage themselves but the destruction by gossip is borderless.